1) If they are a local NPO they should go to REBSEA Member Directory and open our Member Directory where they will find a REBSEA member in their community or the closest member to their location. They can contact our member directly and ask if they are interested in supporting their organization. Each of our members chooses the NPOs that they wish to support in their community and after a closing they make a donation to one of the NPOs in their community. The NPOs that our members choose to support inform their supporters and donors about the REBSEA Program and introduce our local member. 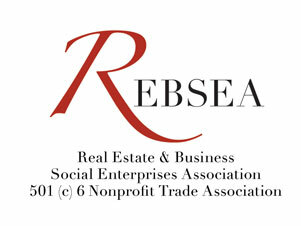 REBSEA members are currently real estate agents, brokers, mortgage brokers, lenders, and insurance agents. REBSEA will be broadening this list over time to include ALL types of businesses that Give Back to their community by donating to NPOs when the public chooses to do business with them. 3) If they are a local NPO that is a chapter of a national or international NPO they can reach out to the leadership of the parent organization to encourage them to participate in the REBSEA Program by informing all of their local chapters about the REBSEA Program and explaining that they can follow the above procedures for working with REBSEA members in their community.